It is HOT, HOT, HOT here!!!! Whew! So all I want to do is stay inside my air conditioned house and play in my craft room! Mermaid for You stamp set. What's more fun than swimming in the ocean in the summertime! Your card is simply adorable!!!! 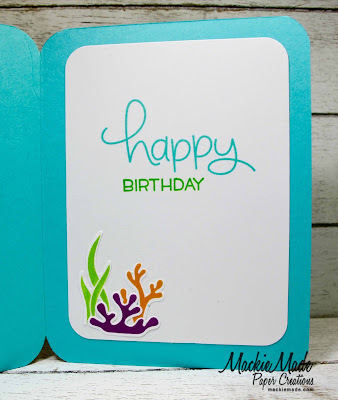 Totally fabulous card; inside and out! 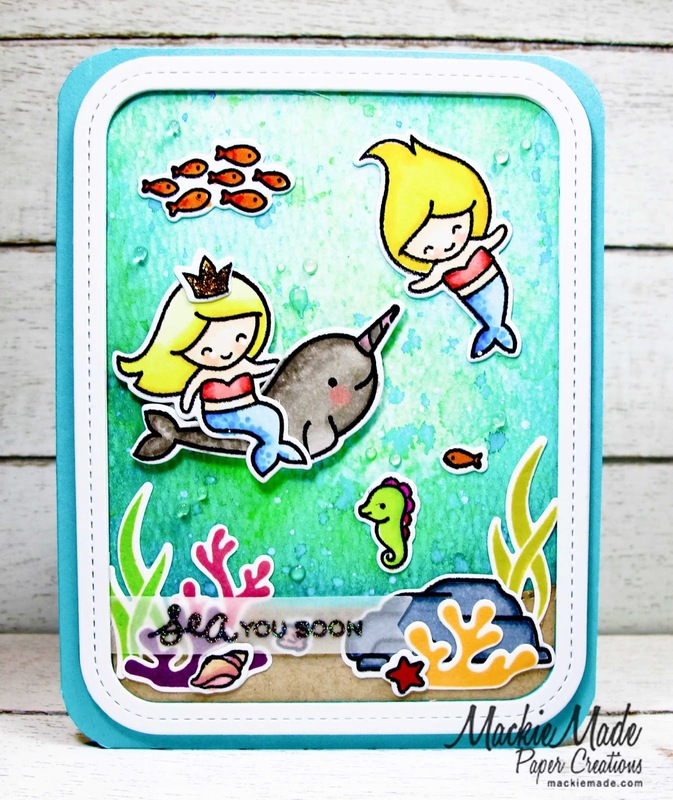 Love that wonderful watery background! Thanks for sharing with us at Lawn Fawnatics! Playing catch up after vacation! Lots of prettiness happening on your blog while I was away Mackie. LOVE your gorgeous hummingbird card! 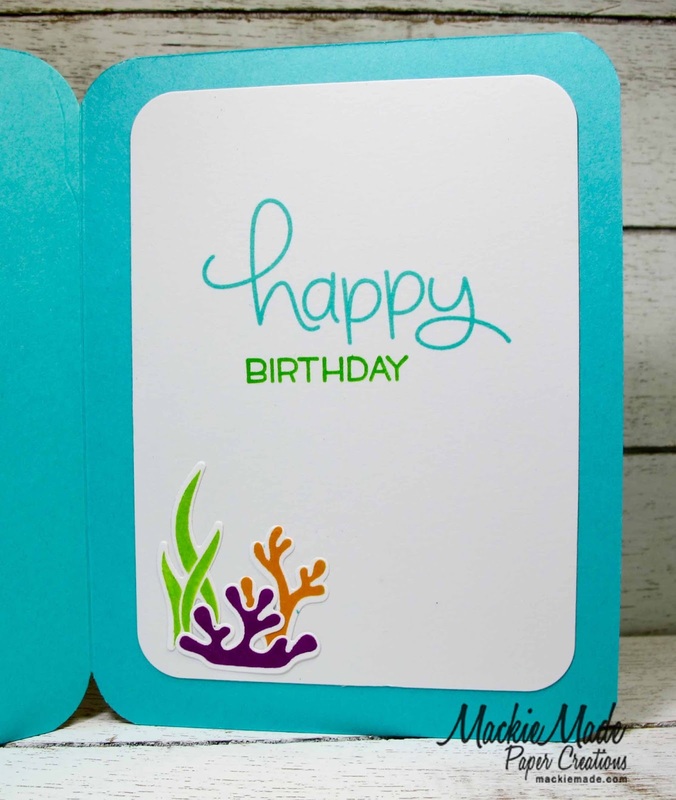 That glittery sentiment is perfect with this FUN card, Mackie!